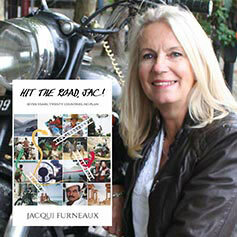 Join local author Jacqui Furneaux and her beloved Enfield motorcycle in store as she gives an illustrated talk about the amazing worldwide adventures captured in her book Hit the Road Jac! Nearing fifty, Jacqui went off to India with a young Dutch motorcyclist she hardly knew, bought her own motorbike thinking the adventure might last 6 months. They travelled aimlessly together for 4 years (despite her breaking her leg in Pakistan) until they reached Australia where he left her. Now addicted to travelling she carried on riding for another three years, sometimes in fear for her life! 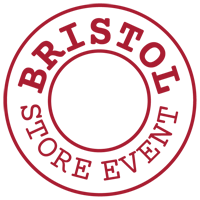 Amazed by the diversity of the people and cultures she met along the way, she arrived back in Bristol and didn't know what to do with herself until she decided to write this book.